Rear Admiral Paul Thomas is the Assistant Commandant for Prevention Policy overseeing three Coast Guard directorates: Inspections and Compliance, Marine Transportation Systems, and Commercial Regulations and Standards. The programs include waterways management, navigation and boating safety, ports and facilities, merchant mariner credentialing, vessel documentation, marine casualty investigation, commercial vessel inspections, and port state control. A longtime specialist in Marine Safety, Security and Environmental Protection, he has served in myriad safety billets, including Commanding Officer of Marine Safety Unit Galveston, TX, and as the Director of Inspections and Compliance at Coast Guard Headquarters. 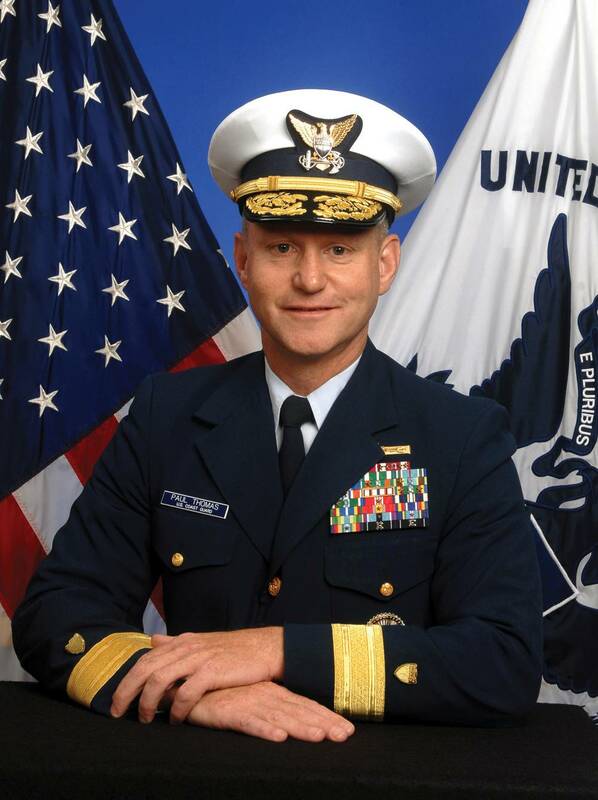 The U.S. Coast Guard Academy graduate has also spent time as Fifth Coast Guard District Chief of Staff, Executive Assistant to the Assistant Commandant for Marine Safety, Security and Stewardship, Military Assistant to the Director of Net Assessment in the Office of the Secretary of Defense, Commanding Officer in USCGC CAPE ROMAIN and Operations Officer in USCGC BLACKHAW. He rounded out his education with a degree from the Massachusetts Institute of Technology and in 2005, completed a National Security Fellowship at Harvard University’s John F. Kennedy School of Government. Today, he leads one of the U.S. Coast Guard’s most important, but probably least understood mission sets. As the Coast Guard attempts to keep pace with both the emerging technologies on the waterfront and the workload demands of this diverse department, RADM Thomas is the point man on whose desk the buck stops. This month, he weighs in on all that for MarineNews readers. Give our readers a brief SITREP on the state of the coast Guard’s present day Marine Safety, Credentialing and Prevention department(s). The Coast Guard’s Prevention program remains world class and we are taking every initiative to maintain and improve our service to the nation and to the maritime industry. The Coast Guard has one of the most robust staffs of engineers, economists, environmental specialists and technical writers in all of Federal government. This staff allows us to develop standards and regulations for maritime safety, security and environmental stewardship. We have a highly trained, geographically distributed work force to conduct inspections and examinations in the field that ensure compliance with those standards and provide industry a level playing field. And, we have professional investigators at our field units who engage when there are accidents or violations of law to ensure accountability as appropriate, but also, more important, to provide feedback that improves both our standards and compliance processes. We do all of this on the foundation of very healthy interagency, industry and international partnerships. This is a very unique and powerful combination of authorities and capabilities, and it allows the Coast Guard Prevention program to safeguard the entire Maritime Transportation System; including vessels, marine facilities, mariners, and the waterways themselves. The U.S. Government’s latest Unified Agenda (published on November 21, 2014) now indicates publication of the Subchapter “M” is planned for August 2015. Many industry stakeholders would characterize that timeline as overly optimistic. What would you tell them in response? Yes, this is an aggressive timeline. Creating an entirely new inspection regime for over 5,500 previously uninspected vessels is a huge task. As you mention, there are many Government, industry, and public stakeholders for the final rule. We received more than 3,000 comments on the Notice of Proposed Rulemaking. Each of these comments represents stakeholder feedback that we must acknowledge, evaluate, and answer in the final rule. We are working hard to finish the rule and will publish it as soon as we can. When the subchapter M towboat rules do come into force, will you have the manpower to handle the increased workload? More importantly, if the headcount is there, will the knowledge necessary to conduct this work accompany it to the waterfront? Clearly, we have the knowledge base in our workforce to implement sub Chapter M. In the past 5-years under the Towing Vessel Bridging Program we have conducted over 7,100 exams on a current fleet of over 5,800 U.S. towing vessels nationally. The interactions we have had with every towing company in the U.S. have built a strong foundation for our CG examiners, who have gained familiarity with the vessels and their operations. In addition, the Towing Vessel National Center of Expertise brings a great deal of knowledge and experience to this fleet. The capacity of our work force is a different issue. We placed over 120 additional people in the field in preparation for Subchapter M. These people will conduct towing vessel inspections and oversee third party inspections and safety management systems. The unknown for us is how many operators will chose to go with a third party as a compliance option, and how many will chose the traditional Coast Guard inspection option. That number will drive our workload and determine if the workforce is adequate. Staying with Sub M for a moment more, as many as 4,000 vessels and the requisite numbers of mariners will soon be added to your portfolio of responsibilities. What do you anticipate as being the main challenges that towboat operators will have to come up to speed on in order to comply? The biggest challenges for the approximately 6,000 vessels that will come into inspected status will be to understand the new requirements and implementing truly effective Towing Safety Management Systems. This will also be the most important step to further enhance the safety of the towing fleet. As designed, this rule is “phased” in over time to give industry time to address development of safety management systems and implementation of the rules. The ballast water rules are coming. The international IMO rules are close to getting enough stakeholder approvals. Where are we on ours and when will the Coast Guard start approving (beyond STEP &/or interim approvals) the technologies for installation? Coast Guard implementation efforts for the Ballast Water Discharge Standard (BWDS) Final Rule are underway, including the establishment of a type approval program for ballast water management systems (BWMS) and the acceptance of Independent Laboratories (ILs) that will carry-out type approval testing in accordance with Final Rule requirements. As of December 23, 2014, the Coast Guard has accepted two ILs, consortia led by NSF International and DNV/GL, to carry out type approval testing of BWMS. No applications requesting Coast Guard type approval have been submitted to date, but the Coast Guard is aware of testing that is taking place at the ILs to support a future Coast Guard type approval application. The submission of type approval applications to the Coast Guard is the prerogative of the ballast water management system manufacturers. The Coast Guard will type approve a ballast water management system when the vendor, working with an IL, provides a completed test report and evaluation in accordance with the requirements found in 46 Code of Federal Regulations Subpart 162.060. The Coast Guard has also accepted 50 foreign-approved ballast water treatment systems as Alternate Management Systems (AMS), including 7 accepted for use in fresh water. Vessels may use AMS in lieu of ballast water exchange prior to the ballast water management compliance dates established in the final rule, and in lieu of meeting the ballast water discharge standard for up to five years after their compliance dates. Additional implementation activities underway include promulgation of Coast Guard policy that provides compliance and enforcement guidance for Coast Guard port State control officers and domestic vessel inspectors. The rule’s implementation schedule phases-in the BWDS or other accepted ballast water management practices for new and existing vessels based on a vessel’s ballast water capacity. Vessels that cannot meet the BWDS or employ one of the other practices by their compliance date can request an extension to their compliance date from the Coast Guard. 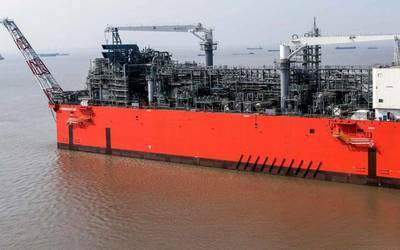 Currently extensions are being granted to Jan 1, 2017 for those vessels that have a scheduled drydocking in 2015. The Vessel General Permit (VGP) and the (small) VGP are hot topics. These are primarily EPA mandates, but your responsibilities and those of the EPA overlap in places, to say the least. Look at ballast water management for example. Who enforces the EPA’s VGP on the waterfront? And, once again, do you have the manpower to handle the sVGP responsibilities, when they come? The Coast Guard includes VGP compliance checks during normally scheduled inspections and exams for certification on inspected domestic vessels and during port state control examinations on foreign vessels. Deficiencies are forwarded to EPA for possible enforcement and resolution. Currently, the sVGP has been deferred by the recent ‘Howard Coble’ Coast Guard and Maritime Transportation Act of 2014 until December 18, 2017; therefore, the Coast Guard has no responsibility to include sVGP compliance in our prevention program. If/when the sVGP becomes a requirement, we will work with the EPA to determine best use of our available resources, but the basic plan would be similar to our existing inspection/exam regime for the VGP; we would check for compliance in the course of our routine inspections or examinations. Drug & alcohol testing works. Yet, today, commercial fishing vessels are subject to far less stringent testing regimens (with far more dismal results & post-incident ‘positive’ testing results) than their passenger vessel counterparts? Why the disparity and when, if ever will this be remedied? Drug and alcohol testing requirements do apply to larger fishing vessels (200 GTs), fish processing vessels, and to all fishing vessels involved in a serious marine incident. Additionally, fishing vessels are subject to the same alcohol and drug testing equipment carriage requirements as other commercial vessels. The distinction comes in under 46 CFR Part 16, where testing only applies to those individuals who hold a merchant mariner document, license or credential, serves in a “safety sensitive position,” or any person directly involved in a serious marine incident. There is no federal requirement for less than 200 GT fishing vessel operators to have pre-employment, random, periodic, and reasonable cause testing programs in place. The Coast Guard does not have authority to extend testing requirements on uninspected vessels to un-licensed/non-credentialed individuals, unless such an individual is directly involved in a serious marine incident. Owners/operators/employers may establish testing requirements as a condition of employment, but most do not take such action. Until we are given legal authority to extend the testing requirement to those not holding any type credential, the Coast Guard cannot require it. The consolidation of Mariner credentialing functions in West Virginia was accomplished in an arguable choppy fashion, but is now more mature. Tell us about service to the mariner today as opposed to when the REC’s were fully staffed. Give us metrics. Centralization of the mariner credentialing process was a challenging endeavor to say the least. While I would agree that, at the outset setbacks were encountered, I would argue that centralization has proven to be the single most significant improvement to the mariner credentialing program. You asked specifically about credentialing, and I am always very pleased and proud to talk about our National Maritime Center – a truly world class organization that is bench marked by nations around the world. In the last year or so the National Maritime Center (NMC) has successfully implemented the mariner medical certificate regulations, which affects 218,000 mariners – and is currently issuing medical certificates to medically qualified mariners within eleven days of receipt of application. The Coast Guard is achieving the mutual CG-industry credential issuing goal of an average Net Processing Time (NPT) of less than 30 days with no backlog. As of December 2014, the average NPT for Merchant Mariner Credentials was 20.8 days with more than 80% issued in under 30 days. The Medical Certificate NPT was 10.1 days. We continue to make improvements to reduce that time including the introduction of Automated Credential Production Equipment which is currently undergoing IT approval and Operational Testing and Evaluation and should be implemented early this year. In FY14, the National Maritime Center (NMC) produced a record number of Merchant Mariner Credentials (MMC): 80,000+ (original, raise-in-grade, renewals, endorsements and documents of continuity) Customer Satisfaction Surveys indicate a 90% or higher satisfaction rate for the entire calendar year with nearly 30,000 monthly contacts received by our Customer Service Center. Prior to credentialing centralization, the maritime industry made clear to the Coast Guard that they valued consistency, timeliness and better customer service. In the legacy system, customers experienced lengthy delays, in some cases months, for credentials to be issued. Despite numerous program additions, Regional Examination Center (REC) staffing and functions had not changed since their creation in 1982 which contributed significantly to increased backlogs. Decentralized and independent REC operations led to inconsistent regulation and policy interpretations which created an environment ripe with ‘REC shopping’ where customers would seek out the most favorable interpretation. It also made it very difficult to keep up changes to the system including STCW, User Fees, Renewable MMDs, Safety & Suitability vetting and medical screening. Flash forward to today, those same values of consistency, timeliness and improved customer service still apply and the Coast Guard’s credentialing program has vastly improved service to our customers in these areas. Every facet of the application process is centrally managed which includes training, performance/process oversight and personnel accountability. REC’s report directly to the NMC, as opposed to local Sector offices, which has greatly aided in the standardization of operations. This centrally managed and executed process, overlaid by our own Mission Management System (an ISO 9001:2008 based QMS), has greatly improved the quality and consistency of products we deliver to our customers. Today we have a goal to deliver merchant mariner credentials (MMCs) and medical certificates to our customers in less than 30 days (Net Processing Time). As of 12/31/2014 we are exceeding that goal with MMC’s delivered in an average of 20.8 days to over 82% of mariners and medical certificates in an average of 10.7 days. I would invite you to review the National Maritime Center website, Performance and Analysis section for a complete breakdown of the performance metrics we maintain. While I am pleased with the performance of the credentialing program, there is always room for improvement. We will work to continually improve our performance and strive to maintain the highest levels of consistency and timeliness possible. Mariner physical examinations have gone from 5-year intervals to 2-year intervals. How can you possibly keep up with the more than doubling of these intervals for a credentialed mariner set that now eclipses 200,000 seafarers? Of the 209,000+ U.S. credentialed active mariners operating nationally and internationally, approximately 31% (64,000+) are subjected to the two-year physical examination and medical certificate process required of the STCW and Pilot communities. In the early stages of the NMC medical evaluation program, the NMC medical staff consisted of five individuals (one Medical Doctor, two Physician Assistants and two Health Service Specialists) performing mariner health assessment duties. Today, we enlarged the NMC medical staff to include 37 permanent team members (incorporating three Occupational Medicine Doctors, 13 Physician Assistants, 10 Certified Medical Assistants, six Medical Record Clerks, four Health Service Specialists, one Medical Administrator and support staff) to evaluate mariners to ensure all are medically fit to perform merchant mariner operations.